Join us for our December YouTube live on Tuesday December 11 at 4pm PT! You can subscribe to our Youtube channel here and be sure to turn on notifications (instructions here) so you know when we go live. Although Uber hasn’t announced a date for its IPO, it’s widely expected to pursue an initial public offering (IPO) in 2019. How will Uber’s IPO go and how will it affect drivers? It depends on a variety of factors, which senior RSG contributor John Ince outlines for us below. Uber hasn’t specified a date for its 2019 IPO, but a keen sense of anticipation is growing both within the investment community and the ridesharing industry for what is shaping up as an epic event. Some have speculated that Uber’s IPO may be the biggest in history and the Wall Street Journal has thrown out a number of $120B as a likely starting place for a company evaluation in an IPO. Uber isn’t resting on its laurels while it’s in “build up to IPO mode” right now, either. 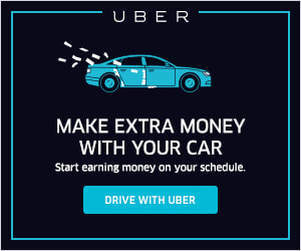 Let’s take a look of what Uber is doing to prepare itself for this major event. I see four key areas of attention for Uber CEO Dara Khosrowshahi and his crew. The defensibility of Uber’s business model is largely anchored in the power of its brand, and clearly that’s a key asset that needs to be buffed up if the IPO is to be successful. The Uber brand has been tarnished greatly by a number of missteps by the management team and the board. There were boardroom fights that created a steady stream of negative press. There were the shocking revelations about the internal “bro” culture and the way the company treats both employees and drivers. There is the steady stream of lawsuits from people who feel cheated by the company – drivers who feel underpaid and underappreciated – passengers who were mistreated by drivers or in some cases assaulted or otherwise disrespected. None of this is going to change anytime soon because Uber is a big target with a huge war chest. In a litigious society, there will always be people who want to reach into the cookie jar for a big settlement. One of the more significant moves of new CEO Dara Khosrowshahi has been a change in tone in public communication. Gone is the arrogant, somewhat brash Uber of Travis Kalanick. In its place is the kinder, gentler, more apologetic Uber of Dara Khosrowshahi. This shift was highlighted by a $500 million ad campaign, known in the media as the “We’re sorry campaign,” which kicked off this past May. This PR blitz seems to be a recognition that the almost uninterrupted sequence of negative stories were damaging the Uber brand. In a world where intangibles like brand constitute a significant part of a company’s assets on their balance sheet, $500 million may seem like a wise investment. Of course when the IPO bell rings sometime in 2019, we’ll find out what the investment community thinks of it. 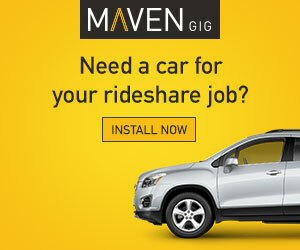 Uber also has embarked on a new ad campaign, created by 72andSunny Los Angeles. It’s called “Doors Are Always Opening”and it kicked off during the kickoff of the New York Giant-Dallas Cowboys game. It reportedly will be the largest spend in the companies history. The approach veers from the more serious and rational tone taken in the previous campaign, called “Moving Forward.” Those ads included shots of CEO Dara Khosrowshahi pledging that Uber has a “new culture,” and that one of its core values is to “always do the right thing.” That campaign, which was created in-house, debuted earlier this year in the wake of negative publicity stemming from allegations of sexual harassment and gender discrimination that led to the departure of co-founder Travis Kalanick in June 2017. Uber’s brand, while dominant, is still very much in flux. The Uber brand barely a decade old and yet it engenders widely divergent reactions from different constituencies. If you’re a Millennial, you’re likely to not even think about telling someone you’re going “to Uber home” – not unlike you would Google a name. But to other generations, you might not even consider taking an Uber because so much of what you’ve heard about the company and the way it operates turns you off. You’ve heard about the sexism in the workplace, or the way its drivers barely make a living wage after expenses. Uber CEO Dara Khosrowshahi has a deeply complex challenge in trying to spiff up this brand so that investors see Uber as the clear winner in the ridesharing wars 10 years down the road. Uber already seems to be taking steps to repair its damaged relationship with drivers. First there was the 180 days of change, and there were some aspects to it that improved the plight of drivers. Recently, Uber followed up to the 180 days of change with their announcement of the Uber Pro Program for drivers to reward drivers who stand out. 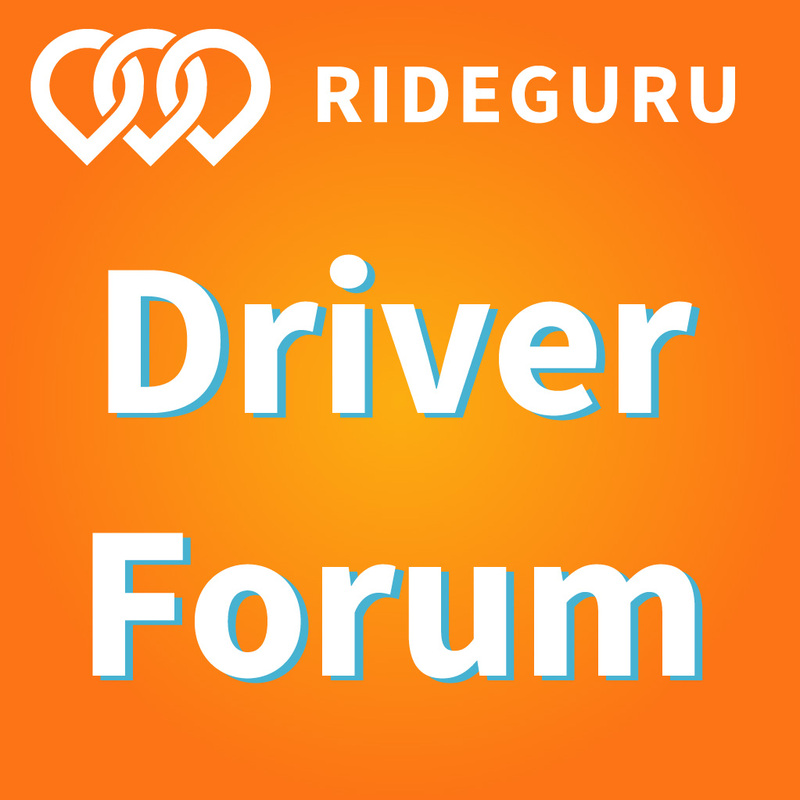 The best drivers can earn more both with a 6% bump in pay and various discounts on gas, car maintenance and other perks. But Uber Pro, like other driver-friendly gestures, has so many conditions attached to it (95% acceptance rate) that most drivers just dismiss it as more PR. Uber also announced a partnership with Cargo, which enables drivers to increase their take home pay by selling items (like snacks and chargers) out of the car. None of this is fundamental, but it does provide a modest boost to the image – perhaps enough to convince prospective investors that drivers remain a key asset to the company. I suspect few investors really understand what it’s like to be a driver, with all the hassles, risks, frustrations, and anger often directed to the company. But Uber now has enough drivers in the fold that a small bunch of disgruntled one won’t jeopardize the business model. As yet, drivers remain unorganized, and that’s the way both company and investors want it. So the buffed brand will remain just spiffy enough to keep the money flowing in. In an investment climate dominated by visions of exponential growth, Uber was the poster child. Year over year, Uber’s growth figures doubled and tripled gross revenues and rides delivered. This had investors pushing and shoving to get into the next financing round. But few investors dug deeply into those figures to see how that growth was achieved. Investors were largely unaware that the only way Uber kept drivers on the road was by offering generous bonuses that, on a per ride basis, put Uber in the red. Although gross revenue were going up, so too were losses of the company, to the point where Uber routinely announced losses approaching a billion dollars a quarter. 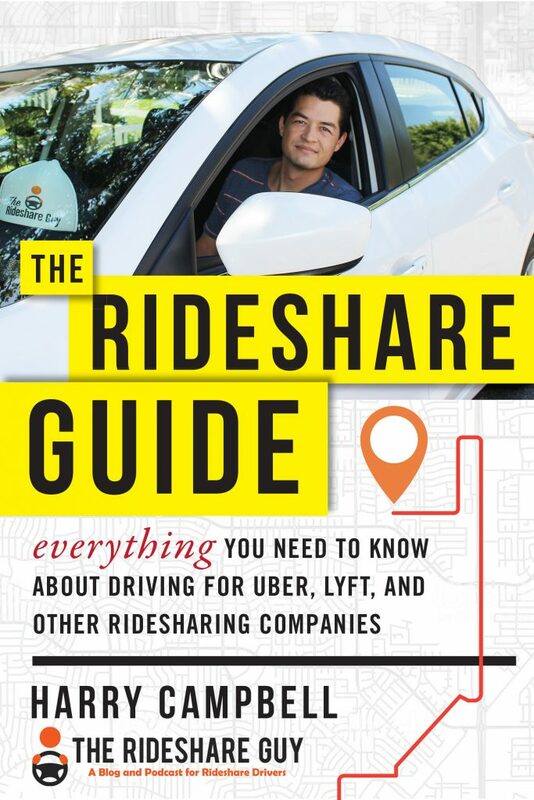 When the growth rates started to level off in ridesharing, Uber dangled visions of driverless cars – and a future where Uber would no longer have to just take a 25-40% commission of rides, but would get to keep the whole fare because the driver had become unnecessary. Well, that vision proved more problematic than Uber had led investors to believe. In fact, it led to huge write-offs and lawsuits and brand-damaging publicity when Uber’s driverless car killed a pedestrian in Arizona. When driverless cars started to lose their luster – at least for Uber – management started grasping at stars, with flying taxis, drone delivery, scooters, bikes and food delivery. Of those visions, only UberEats seems, to this writer, to have real potential. But food delivery is a highly competitive space and no one is still sure whether or not the economics work. The margins are thin and the logistical challenges are daunting. The data is spotty, but Uber’s CEO says Uber Eats is growing at at 200 percent a year and now has a run rate of $6 billion in annual bookings. Uber also launched UberEats for Business which strikes me as a strong idea, but again it’s a competitive space. In the absence of any firm figures, Uber’s CEO and his team seem to be resorting to a grand schema – the Uber for everything. The assumption here is that Uber has the workforce, a workforce that can be incentivized to do almost anything. I’m not so sure about that. Uber’s churn rate with drivers is notoriously high though, again, Uber refuses to release data on that. My bet is that for the IPO, Uber will continue to do what it does best – entice investors with big ideas. The problem is, with an IPO, Uber is going to have to start releasing more data to investors than they are now. When analysts start digging into the numbers, I suspect more questions than answers will emerge – and when that happens, things could start to get dicey. To get on that path, Uber has been leaving international markets where they were losing money. The most significant divorce was China, and they managed to negotiate a pretty good deal, not only getting a nice slice of equity in Didi, but also billion dollar cash infusion. I’d call that a win since they also accomplished the goal of stopping the hemorrhaging red ink. Since then, they’ve been calibrating their gains and losses more carefully in emerging markets, leaving when the numbers are headed in the wrong direction and entering where they think they can make the numbers work. It’s a good sign that Uber is finally applying a more stringent profitability test in these markets. It’s also telling that in existing markets, Uber is trying to squeeze more out of the deal by increasing its service fees. Service fees are another name for a fare increase – and fare increases are an inevitability in this industry. There is no real path to profitability for any of the players in ridesharing without somehow getting passengers to pay more. Put simply: Uber cannot continue indefinitely to price its service below cost while subsidizing unreal growth rates with driver bonuses and passenger discounts. The challenge for Uber is how to shift to profit mode, without jeopardizing market share. This is the key question that hovers over this industry as the IPO looms on the horizon. Ever since the changing of the guard from former Uber CEO Travis Kalanick to Dara Khosrowshahi, there have been a steady stream of departures from the company. This has not proved to be terribly damaging to the company largely because in the tech world it’s not unusual for people to hop from one company to another. The average tenure with one company in Silicon Valley is less than two years, and career strategies call for people to move fluidly from one firm to another. That’s how people get pay bumps. While Uber lost some good people, Dara Khosrowshahi has brought in a new crop with new abilities and reputations. I don’t expect that having management gaps will hurt the company. Uber continues to shift talent around. Rachel Holt, who most consider a key player for the company, has been put in charge of Uber mobility. In addition, they finally brought in a Chief Financial Officer, Nelson Chai, who Dara likes and trusts, filling a spot that had been vacant since 2015. This was presumably a move ahead of a planned IPO. Chai worked previously at insurance group Warranty, Merrill Lynch and NYSE Euronext. From the standpoint of an outside observer like me, it’s almost impossible to tell what’s happening and what’s working inside that culture. But you can be sure that this is an area that Dara will be getting a lot of questions about in his IPO road show in 2019. How Will Uber’s IPO Go? For the moment, Uber continues to emphasize growth over profitability. In the current investment climate this is a relatively easy task for Uber management. Growth is the gospel in today’s tech world. All investors are looking for traction and they’re looking for opportunities that grow out of the network effect. If a company or a brand controls a network, they also control the economics of that network. That’s the grand vision that investors have bought into – Uber will become so dominant that they can raise fares at will. From there it’s a simply a matter of Uber skimming somewhere between 25 and 50% of those fares for its own coffers. My strong suspicion is that the success of Uber’s IPO is all going to come down to timing. If Uber can pull it off before the bottom falls out of the market, then they’ll be good – and it could be the most successful IPO in history. If they miss the window of opportunity and the market turns before the IPO, then none of this is going to matter much. They might even have to pull the IPO, and if that happens there are going to be a lot of very nervous investors out there wondering what they’re going to do with their shares. Readers, what do you think? Do you think Uber is on the path to a successful IPO?